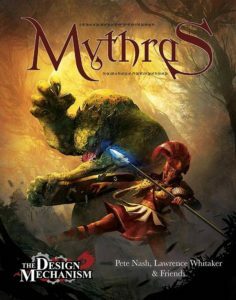 This entry was posted in Mythras and tagged Lawence Whitaker, Pete Nash by Newt. Bookmark the permalink. But one slight correction: Luther Arkwright is not really a “time-travelling science fiction” setting (though one could adapt it for such a campaign). Rather, it’s about parallel *alternative* time-lines (e.g., 1980 in our time-line versus one in which the Roman Empire never collapsed, etc. ).